All Catherine wants is to be a baker and open a shop as the best baker in all of Wonderland. But at the time when the King is expected to propose to her, Cath meets Jest, the Kings new mysterious court Jester. Soon her curiosity blossoms into love and at the risk of upsetting her parents and the King, the pair enter into a secret courtship. But fate is a fickle thing, a dangerous thing that may tear Cath, and all of Wonderland, apart. 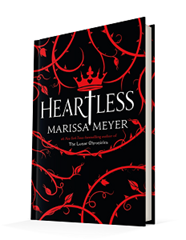 Published November 8, 2016, by Feiwel & Friends, Heartless by Marissa Meyer is a standalone novel that takes gives readers a fantastical new retelling on the origins of Lewis Carroll’s famed Queen of Hearts. This was such a beautiful and amazing novel. Heartless follows Cath, the daughter of a Marquis who only wants to open a bakery and be known as the best baker in all of Wonderland. But of course, her parents who only want what’s best for her, have other plans for her, which involve a very much unwanted marriage proposal from the king. With a beginning like that, the reader is sucked into the novel by this sweet girl who only wants to make her own way in life. It’s a beautiful story and Cath is an amazing character. 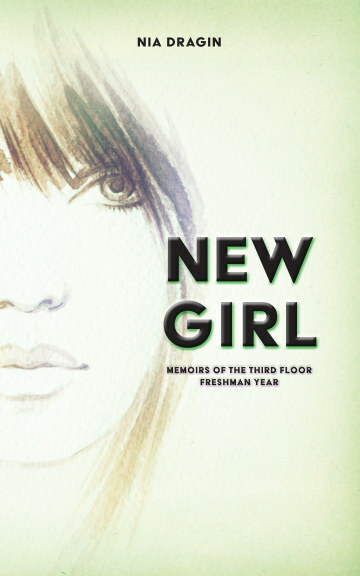 Cath is a young girl caught in the tough spot of following her heart versus following the expectations laid out before her. There is such realism behind her character, something so incredibly deep about her that makes her such a lovable and remarkable character. Her actions and her attitude are so well constructed making her such a believable character. Meyer clearly put her heart into her creation and gave the readers so much to connect to. This is the future Queen of Wonderland from an acclaimed novel, she’s a character everyone is familiar with, and for her to construct the world and her persona with such careful detail offers the reader so much backstory that never existed in this way before. Sure, there have been numerous retellings and tales on the Queen of Wonderland and Wonderland itself, but this one has all the attributes that makes it so much fun to read. Just think about the original work, or even the Disney version, the characters are all there, but their histories are now fully explored. Their dynamics are explored and for the reader, mentally connecting it to the original work is lots of fun.